I’m thrilled to share that Uncanny Magazine is a finalist for the 2019 Best Semiprozine Hugo Award! This is our fourth time being a finalist at the Hugo Awards, and I’m so proud of the work Uncanny did in 2018, and my contribution as the magazine’s managing editor. And I am so happy to share this honor with our editorial staff: Co-Publishers/Co-Editors-in-Chief Lynne M. Thomas & Michael Damian Thomas; Podcast Producers Erika Ensign & Steven Schapansky; and Disabled People Destroy Science Fiction Special Issue Editors-in-Chief Dominik Parisien and Elsa Sjunneson-Henry. This would not have been possible without the hard work and passion of the rest of the Uncanny staff as well: Assistant Editor Chimedum Ohaegbu, Interviewer Caroline M. Yoachim, Podcast Reader Stephanie Malia Morris, and our wonderful Space Unicorn crew of submissions readers. Additionally three Uncanny Magazine stories are finalists for Hugo Awards as well! “The Thing About Ghost Stories“by Naomi Kritzer is a finalist for Best Novelette, “The Rose MacGregor Drinking and Admiration Society” by T. Kingfisher is a finalist for Best Short Story, and “The Tale of the Three Beautiful Raptor Sisters, and the Prince Who Was Made of Meat” by Brooke Bolander is a finalist for Best Short Story! And Uncanny Publishers/Co-Editors-in-Chief Lynne M. Thomas and Michael Damian Thomas are finalists for the Best Editor- Short Form Hugo Award! Further, many current staff and former staff are finalists for different Hugo Awards! Former Poetry and Reprint Editor Julia Rios and Disabled People Destroy Science Fiction Co-Editor-in-Chief Elsa Sjunneson-Henry’s Fireside Magazine is a finalist for Best Semiprozine (on a personal note I am THRILLED to see my friend and Uncanny essayist Tanya DePass listed as Special Features Editor for Fireside as well)! Julia Rios is also a finalist for Best Editor- Short Form, and Elsa Sjunneson-Henry is a finalist for Best Fan Writer! I’m grateful beyond measure to everyone who has supported the magazine and felt strongly enough about our work to nominated us for the award. I’m especially thankful to the many, many creators who’ve trusted us with their work, and given us the privilege of publishing them. Uncanny wouldn’t exist without your passion and creativity. A warm and resounding congratulations to the other finalists in the Best Semiprozine category! The Semiprozine category is filled with so much awesome and I am so pleased to see Uncanny listed among the other finalists! All of them do spectacular work that continually inspires me to keep pushing Uncanny forward to do our best. And CONGRATULATIONS TO EVERYONE ON THE BALLOT! Holy motherforking shirtballs, this list is ridiculously amazing. Strong entries in every category! I’m so beyond happy to see many friends and colleagues recognized as finalists this year, and excited to read the work of finalists that I’m unfamiliar with. And THANK YOU to everyone who participated in the nominations process! The Hugo Awards are infinitely better thanks to community involvement and participation. 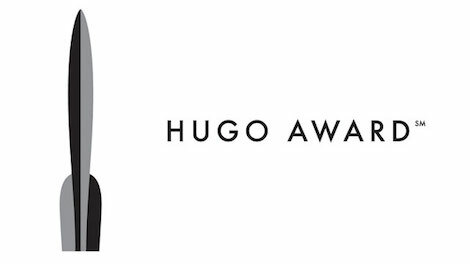 The nominations process is just as important as voting for the final ballot, and I hope we continue encouraging each other to take part in this part of the Hugo Awards. Remember, if you weren’t able to participate in the nominating process but want to participate in voting for the 2019 Hugo Award finalists, you can still do so, whether you are able to attend Worldcon and the Awards or not! You can sign up for a Supporting Membership to the 2019 Worldcon (40£ | $52.47US) , which will give you access to the Hugo Voting Packet with provided samples of finalists’ work, allow you to vote for the finalists, and nominate works/creators for the 2020 Hugo Awards. Or you can sign up for Attending Adult Membership (235£ | $308.40US) for adults 26+ years old, which will allow you access to the Hugo Voting Packet, allow you to vote for the finalists, attendance to Worldcon Dublin August 15-19, 2019, including the awards ceremony, and allow you to nominate works/creators for the 2020 Hugo Awards. I plan to attend Worldcon in Dublin this August (finances willing) and look forward to seeing everyone there! More information about the Hugo Awards, including details about how to submit a nominating ballot: https://dublin2019.com/hugo-awards-wsfs/the-hugo-awards/ . Any questions about the Hugo Awards process should be directed to hugohelp@dublin2019.com. To subscribe or unsubscribe to media releases, complete the form at https://dublin2019.com/press or write to press@dublin2019.com. This entry was posted in Culture, Fandom, Uncategorized and tagged Best Semiprozine, Hugo Award, Uncanny, Uncanny Magazine by Michi Trota. Bookmark the permalink.